Hostel One Paralelo i Barcelona, Spania: Bestill nå! Great staff. Good atmosphere. Daily free trips to different places in daytime. In the night time daily trips to different bars and nightclubs with free entrance. 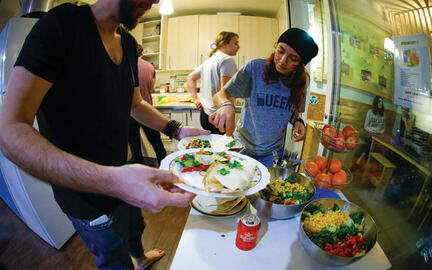 Perfect hostel if you want to meet new people. Clean, safe and welcoming hostel. Great hosts, fun day time and night time activities, tasty dinner. Highly recommended to both groups and single travelers who are looking for a social hostel stay.